Trauma is a medical term of Greek origin denoting a severe wound or injury and the resulting after effects. A grave injury to the head, for instance, might induce delirium or even a gradual enfeeblement of the victim. The devastating shock of an automobile accident has been known to cause the onset of diabetes or heart disorders in a person who has a latent weakness. 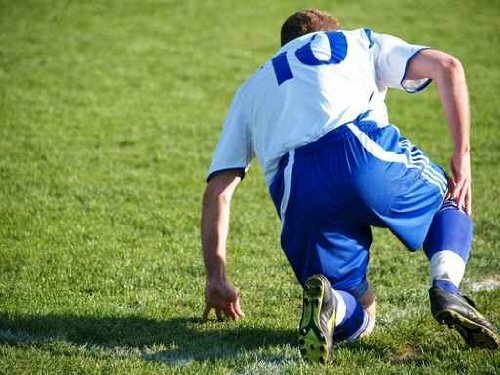 Response to physical injury depends on the degree and suddenness of the injury and the previous physical condition of the victim. Sudden damage to extensive skin areas or internal organs by crushing pressure, cutting or piercing wounds, burns, or fulminating infection may cause shock due to massive assault on nerve endings leading to vasomotor and respiratory centers in the brain. Subsequent to recovery from traumatic shock, complete recovery depends on the degree of damage to vital organs, the amount of blood and tissue fluid that has been lost, and the response of homeostatic mechanisms such as blood electrolyte balance. Age, general state of health, and the condition of the victim's circulatory system are of paramount importance in determining the body's recuperative responses. Infants and young children more easily survive great accidents (such as, for example, falling several stories to a concrete pavement below) which are invariably fatal to adults, whose tissues are less elastic and whose circulatory system is more prone to collapse. The body normally responds defensively to physical and mental trauma by physical stress reactions, such as alterations in blood count and secretion of the adrenal glands and digestive lining. These defenses are believed usually to increase the tissues' functional resistance to damaging stress, but they may overreact to trauma and cause early physical exhaustion. By extension, the term "trauma" is employed to denote the aftereffects of a harrowing emotional upheaval. Sigmund Freud describes the traumatic neurosis as a disorder which has its roots in some experience long since consciously forgotten (that is, repressed), and which later on manifests itself in nightmares, overwhelming anxieties, or motor disturbances. Prolonged mental stress or a sudden and intense emotional reaction is said to be traumatic for those individuals constitutionally predisposed toward a long-lasting or permanent disorganization of the personality. The patient, so Freud concluded, becomes fixated upon the original disastrous situation. Recurrently, therefore, physical and psychological disturbances, arising from the unconscious residual aftereffects of the trauma, upset the patient. The psychoanalyst hopes to enable the patient to achieve an abreaction (a reliving in action, emotion, or imagination of the original traumatic experience) and thus to obtain some understanding of the meaning of the symptoms. The aftereffects of the trauma may then disappear entirely. Acne is an inflammation of the skin centered in the Sebaceous Glands.